Pink lemonade is one of the happiest things I can imagine filling a glass. I immediately think of summer picnics or fancy tea parties as a little girl. 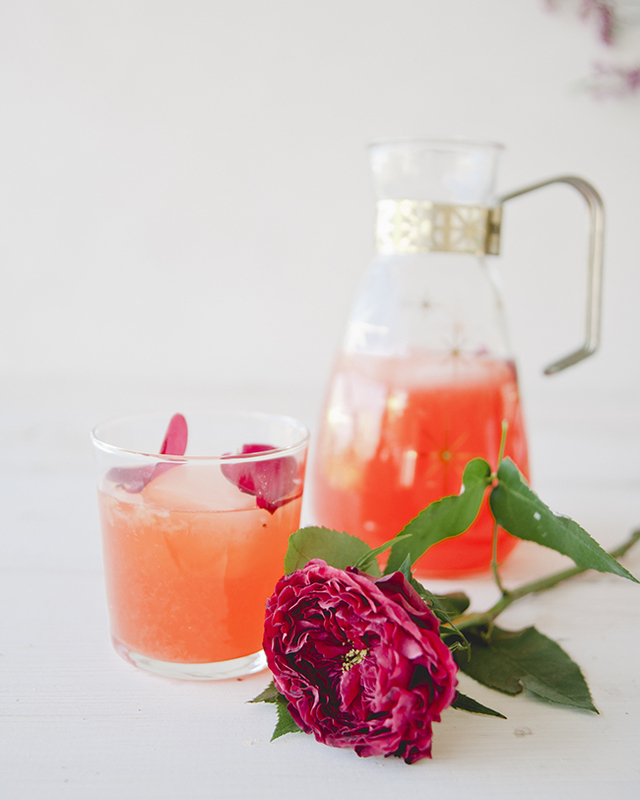 In this version, I made my pink lemonade just a little more special, with fresh strawberries and a touch of rosewater. 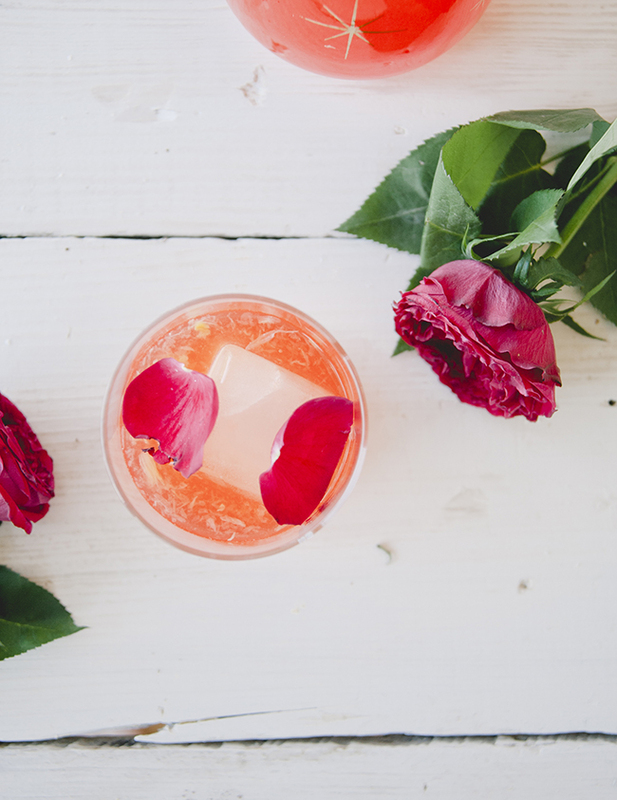 This combination is so refreshing and fun, you can’t help but smile after a sip. Juice the meyer lemons (or regular lemons if you can’t find meyer lemons). Put all of the used halves into a bowl and cover with 2 cups of hot water. Let it sit for about 10 minutes. The hot water pulls all of the natural oils out of the meyer lemon skins and adds so much flavor. 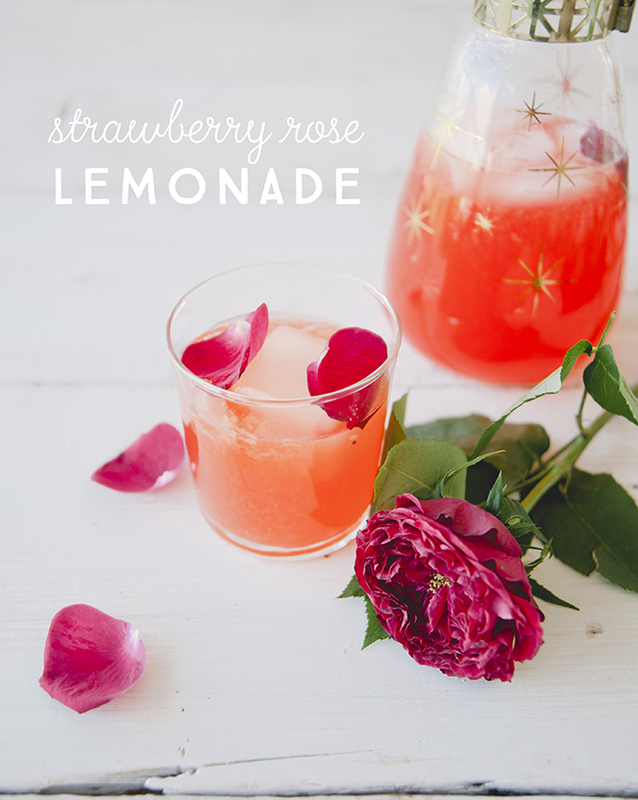 Strain into a pitcher and add the lemon juice, cold water, and strawberry rose syrup. Stir and chill in the fridge until ready to serve. In a small pot, stir together the water and sugar. Heat the mixture on medium for about 10 minutes, until the sugar is dissolved and the liquid is clear. Take off the heat, stir in the strawberries, lemon juice, and rosewater, and set aside until room temp (about an hour). Press the syrup through a sieve, and keep in the fridge until ready to use.